Merlin Publishers has unveiled the new merlinpublishers.com site with a celebration offer of 15 per cent off all its books for Sunday Times of Malta readers. The Merlin Publishers site presents all book lovers with a more compact view of new Maltese publications, reviews, excerpts and chapter samples. The sleek, minimalist design makes it easier for the user to find information about the books’ content and also offers a dynamic platform where book readers can leave their comments and give feedback. Merlin editors now can recommend bestsellers and other books to match readers’ favourite authors. Video promos, photo galleries, author and illustrator biographies are now more seamlessly integrated. 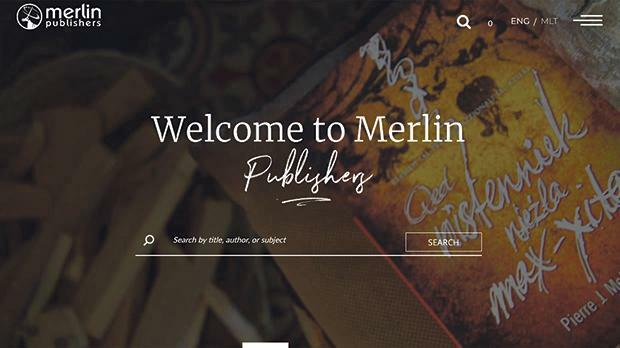 With the new site, Merlin Publishers are also encouraging new authors to fish out the manuscript at the bottom of their drawer – be it fiction or educational – and send it to editors’ inboxes. If it makes the grade, the Merlin team then ensure that the final publication outcome will be the best possible. Merlin Publishers has a history stretching back half a century of creating groundbreaking children’s books. In more recent times, they have also gained much respect with a smaller but prestigious imprint in adult fiction. Home to many of Malta’s best authors, Merlin prides itself on its discovery and nurturing of young new authors with their fresh, ingenious, unorthodox styles. Several of its adult titles have been translated in a range of languages and won several accolades, including the European Union Prize for Literature and the Young Authors’ Literature Award. In Malta, Merlin Publishers have been at the forefront of production, editing, design and marketing and has been the winner of the National Book Awards’ Best Publishing House Award, for three consecutive years; undoubtedly the result of a young dynamic team bound together by a passion for books, art and language. Merlin Publishers books have been exhibited at Frankfurt, London and Bologna book fairs. The 15 per cent discount is valid until July 18, 2018. Readers are to log on to merlinpublishers.com and quote coupon code TOM15.